Re-opened in 2004 following refurbishment, this was Japan's first modern aquarium. The aquarium is also home to a jellyfish exhibit which was launched when the aquarium first opened in 1954. 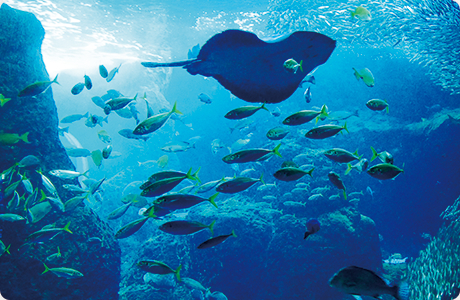 Originally opened in 1954, this was Japan's first modern aquarium. In the same year, the aquarium launched a jellyfish breeding exhibit, and this became a permanent exhibit in 1973. The aquarium re-opened in 2004 following refurbishment. Recreating the diverse marine habitat of Sagami Bay, a school of 8000 sardines swarm majestically in the "Big Sagami Bay Tank". While enjoying the sea breeze, visitors can also see three species of sea turtle at "Sea Turtle Beach". In addition, the aquarium has two jellyfish breeding research exhibits (Jellyfish Fantasy Hall and Jellyfish Science) which boast over 60 years of experience. 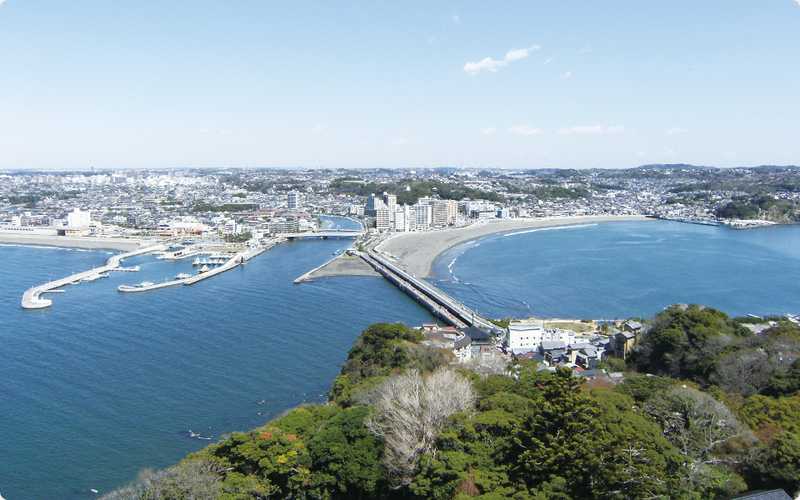 Also known as "Enospa", Enoshima Island Spa is located to the right of the bronze torii gate on Benzaiten Nakamise Street, and is a hot spring and day spa facility. Drawn from 1500 meters below ground, the natural mineral rich water is said to aid weight loss and produce radiant skin. The water is also good for stiff shoulders, circulation, and relieving fatigue, provides moisturizing and heating, and helps to maintain good skin and health. There are also pool areas (swimwear must be worn in these areas). There are indoor, outdoor, and cave pools. Beautifully situated and with views of the ocean and Mt. 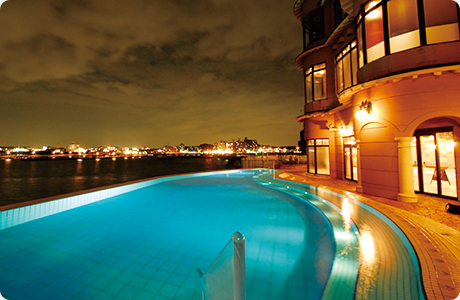 Fuji, the outdoor pool area is particularly good for mental and physical relaxation. Visitors can also take in ocean views from the spa's restaurant, or enjoy a variety of beauty treatments and massages. Relieve any travel weariness during your trip with a visit to Enospa.